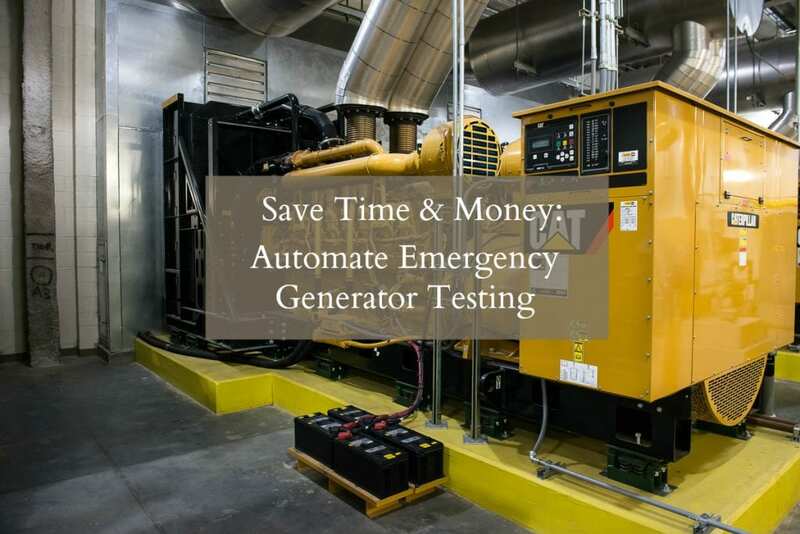 Automate Emergency Generator Testing. 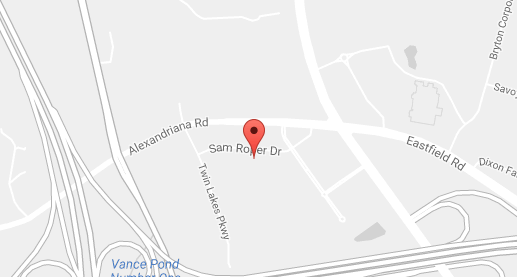 Meet Joint Commission Req. Remove the need for manual scheduling, testing, verification, retesting, and documentation. Hospitals are looking for ways to reduce energy plant costs. Some have reduced staff. Others are cross-training between facilities. Automation is another avenue to reduce costs and increase efficiency, especially for ongoing and reportable processes like emergency power supply system testing. Accredited healthcare facilities are required to comply with The Joint Commission standards for regular testing of emergency power supply systems (EPSS). Complying with the testing helps ensure that backup power will be available when needed. This requires testing all generators and automatic transfer switches (ATS) on a monthly basis. Depending on the size of the hospital, this can represent a significant amount of time to conduct the required testing. For hospitals that are still conducting these tests manually, there is a significant cost savings that can be realized by automating some or all of the test procedure. What exactly is the emergency generator testing procedure outlined by Joint Commission standards? There are very specific generator and ATS testing requirements outlined for healthcare providers, which I have summarized below. It’s simple to automate the entire process, from scheduling to documentation. Automated Scheduling. It’s up to the individual hospital, but setting up a regularly occurring, or even manually initiated schedule within a customized Emergency Power Management System (EPMS) will save time and ensure tests actually happen within the allotted interval. Automated Testing. Systems can be configured to automatically initiate generator and ATS tests. Depending on the hospital and number of generators, this can represent significant cost reduction in man hours manually initiating tests. Transfer switches are generally placed all over the hospital, which means operators must physically be in each electric room to initiate a test. It’s not uncommon for a small hospital to have 16 ATS spread in half a dozen electrical rooms throughout the hospital. An EPMS system would allow you to have centralized control of your EPSS testing without visiting each switch. Automated Test Verification. Instead of manually verifying that generators passed the test (e.g., data was logged, test occurred within the allotted time frame, nameplate percentage), it’s simple to configure the system to analyze tests to determine if they met the requirements. Your generator doesn’t always meet nameplate requirements, due to minimal loads on the generator. For example, if the test is conducted on a mild day at 4am when all lights are off, you probably won’t be able to get the generator to 30% for 30 min. This means that test doesn’t count. A "smart" system is intelligent enough to terminate the test if it determines you won’t meet 30%, and notify the operator. Automated Retesting. If the analysis concludes that the test did not pass, you can add functionality within the system to automatically schedule another test, or immediately run a test without having to waiting for the first test to complete. Automated Documentation. As the case study of University of Virginia Medical Center shows us, documentation is half the emergency generator testing battle. By implementing an EPMS as a recording device, monthly reports outlining starting and ending times, generator loads, ATS transitions, nameplate percentage, etc. can automatically generate for every ATS and generator for Joint Commission auditing documentation printing and submission. Need a customized EPMS for Emergency Generator Testing? We can help. One major hesitation I’ve heard when adopting automating generator testing is relinquishing control. While most hospitals see the benefit in having an EPMS system to record the test results, few hospitals are ready to allow tests to be automatically initiated. To trust a computer to test a generator in a very sensitive environment can be scary. Most hospital operators schedule tests during times that typically have no impact to critical operations, such as weekends or early mornings. But what happens if an unplanned event such as an emergency operation had to occur during an automatically scheduled time? If this is a concern you have, there’s an easy fix. Say you’ve set up your EPMS to schedule generator testing in advance. You can configure the control system to send a test confirmation to an operator in advance of the test (the user can define the time period, say 15 minutes). The operator will be required to acknowledge the test request before the system will initiate the test per schedule. If the test is not confirmed or the test is aborted for whatever reason, the control system can prompt the operator for a date and time to re-schedule the test. Think you need an EPMS system? Read this first. Most modern emergency power supply systems most likely already have the ability to support automatic testing and recording of tests. For older systems, an investment in wiring and some potential addition of hardware may be required to support remote initiation from a central location. 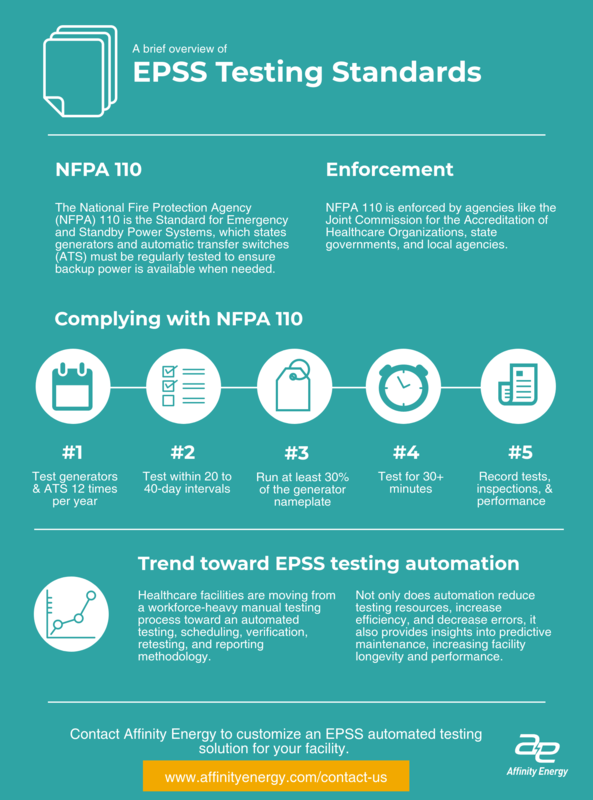 If done properly, automating EPSS testing has the potential to save at least one hour per month per generator to be tested. (Assuming an operator will spend at least 30 minutes on the test itself and another 30 minutes to ensure proper documentation.) Additional time savings will be generated based on the number and location of automatic transfer switches. Additionally, automation can reduce errors by automatically compiling the test data in a format such as Microsoft Excel and emailing to the appropriate personnel. Lastly, I recommend operators configure their systems to record other information from the diesel engine (assuming this is your prime mover) to identify potential problems before they happen. An electrical power management system can record parameters such as fuel levels, engine total run times, number of starts, battery charge, oil pressure, and coolant temperatures while the generator set is operating. Alarms and trends on these parameters can trigger maintenance activities that will ensure your backup power will be there when you need it. 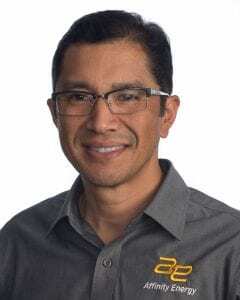 Allan Evora is a leading expert in control systems integration and president of Affinity Energy with over 20 years of industry experience working in every capacity of the power automation project life cycle. With a background at Boeing Company and General Electric, Allan made the decision to establish Affinity Energy in 2002. Allan is an alumnus of Syracuse University with a B.S. in Aerospace Engineering, graduate of the NC State Energy Management program, and qualified as a Certified Measurement & Verification Professional (CMVP). Throughout his career, Allan has demonstrated his passion for providing solutions. In 1990, he developed FIRST (Fast InfraRed Signature Technique), a preliminary design software tool used to rapidly assess rotary craft infrared signatures. In 2008, Allan was the driving force behind the development of Affinity Energy's Utilitrend; a commercially available, cloud-based utility resource trending, tracking, and reporting software.